The conventional wisdom about Islamic law is that the Prophet revealed the legal basics in the Medinah surahs, the sharia, which was later codified as fiqh (jurisprudence) under the Umayyad and Abbasid caliphates as the four schools -- Hanafi, Maliki, Shafii and Hanbali. 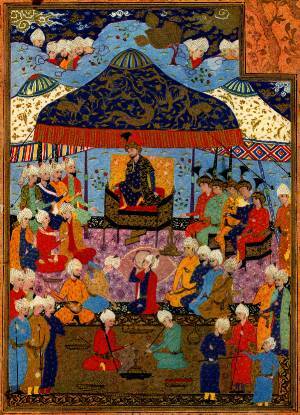 The original dynamism of Islamic jurisprudence, characterised especially in the Hanafi school by ijtihad (legal interpretation) was lost and "the gates of ijtihad closed" by the 14th century, as the Mongols devastated the Muslim world. Today's Islam is supposedly eight centuries out of date and, according to the likes of religious scholar Hans Kung, needs both a Reformation and an Enlightenment a la Western civilisation to bring it into the 21st century. The truth is very different. Yes, there was a burst of creativity in the 8th-11th centuries, which resulted in the Islamic world being far more "civilised" than a Europe stumbling through the Dark Ages. The transformation of sharia into fiqh began under the Abbasid Caliph Al-Mahdi (ruled 775-785), when the rising class of religious scholars (ulama) and the law itself gradually became independent of the ruler, and legal decisions had to be "witnessed and validated by upstanding men of the Muslim community, bound by oath: a jury, some four hundred years older than its English equivalent". 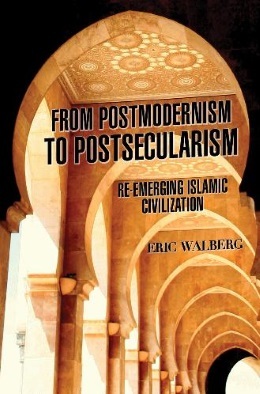 Interpretation, reasoning by analogy, consensus, and consultation flourished, creating a body of legal theory that did not so much "close" by the 14th century, but achieved a completeness that ensured that Islam would spread and remain the most vibrant of the world's religions over time. Kadri describes the development of Islamic fiqh as an "immense achievement. Formulated over the course of a few centuries, it took root across three continents and outshone Christendom for almost a millennium." It adapted to local conditions and customs, and "helped bind civilisations that were as diverse as any the world has seen." The problem, as Kadri argues, is in the past century, especially the past "four decades of legal revivalism", that "have promoted theories that are eliminating space for fresh ideas and dissent wherever they gain ground". Kadri provides a dispassionate analysis of the rise of violence within Islam which occurred since the 1970s, pointing to the Wahhabi movement, which in turn was inspired by a late arrival to fiqh -- the 13th century Ahmed Ibn Taymiyya, and his pupil Ibn Qayyim, whose stern warnings against apostasy and devotion to the salafi (the first few generations of Muslims) provide the stereotype of the austere and rigid approach to Islam so prominent in Western discourse today, one which indeed refuses innovation, calling on followers to imitate those who lived in the heroic period of Islamic history (taqlid). 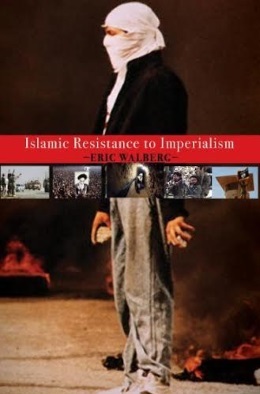 The author traces how in the past few decades the call to violence and to the overthrow of kafir (unbeliever) leaders led to justifying killing of Muslims and anyone else who got in the way. Such innovations were formulated by the Egyptian Ayman Al-Zawahiri and Saudi Osama Bin Laden, inspired by their own reading of Ibn Taymiyya and the writings of Egyptian Sayyid Qutb in the 1960s. But a higher proportion of US Muslims condemn military attacks on civilians than do Christian or Jewish Americans, and most victims of so-called Islamic terrorism are Muslims. Though he downplays the overwhelming violence of the US in its many wars over the past half-century, beside which Islam-inspired violence pales, Kadri does point out that violence is promoted just as much by such Islamophobes as Oslo-based American Bruce Bawer, author of While Europe Slept: How Radical Islam Is Destroying the West from Within (2010). Bawer argues -- hysterically -- that Europeans are yielding up their freedoms to the Muslim invaders, and that Muslims are reproducing "beyond the point of no return", which will soon mean "subservience or civil war" in Europe. Fellow Osloite Anders Breivik made 22 references to Bawer's writing in his online justification of the murder of more than 70 Norwegians in July 2011. How Muslim emigres fit in to their new societies these days is an important theme in Heaven on Earth. The US is built on a culture of mass immigration and rapid assimilation, and despite the Islamophobia of especially the post 9/11 era, Muslims have adapted well to life in America and have prospered. In contrast, "Britain has historically received newcomers with a combination of curiosity, hostility, and indifference" fostering a "self-absorption in immigrant communities". The greater militancy of British Muslims is the result. In both countries -- infuriating local Islamophobes -- sharia has slipped in and now forms an essential element in those supposedly superior legal systems. The US federal arbitration law, passed by Congress in 1925, allows religious tribunals, and their judgments are given force of law by state and federal courts. Recent attempts to outlaw sharia (notably a referendum in Oklahoma) will fail with First Amendment appeals, predicts Kadri. After all, US Jews have had had their beth din religious courts for more than a century, and there are now Christian conciliators for those Christians who prefer canon law to the secular law of the land. US courts "have been positively encouraging [its] use since the 1980s" for inheritance, business, and matrimonial disputes, "sorted out by Islamic scholars according to the sharia. "The precepts of Islamic law, like those of other religious codes, therefore have judicial force in the US already." Muftis near Birmingham UK set up the "Muslim Arbitration Tribunal to offer consenting parties the right to have their commercial and family disputes resolved according to Islamic law, for a small fee." Kadri’s measured take on touchy subjects is well illustrated by his consideration of the infamous Danish cartoons defaming Mohammad. Though not condoning the violent response to the cartoons, he puts the blame on the Western promoters of "free speech": "Arguments about free speech and fair comment are beside the point when it comes to acknowledging sensitivities." Kadri emphasises inner jihad -- the need to recognise that sharia governs one’s ego as well as society, and is a "path to salvation" rather than just a "set of orders". The new ferment in the Arab world gives rise to optimism for Kadri. 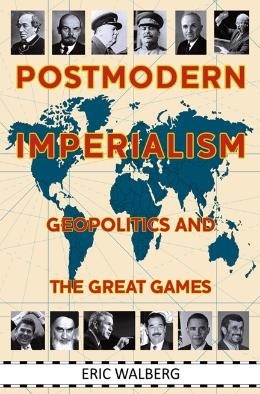 Building on the 19th century Islamic reform movement, the Iranian revolution (which Kadri provides startling material on, based on his travels and interviews there), and recent events in the Arab world, the process of adapting democracy to Islam is well underway in our era of mass literacy. "The idea has spread that people should work out problems for themselves -- simply by reading the Quran, perhaps, or by thinking hard about what the Prophet, his companions, and the salafs of seventh century Arabia would have done." "Sins are ultimately for God to judge." Mohammad and the early jurists preferred repentance to compulsion, and Muslim scholars mostly avoid the temptations of worldly power. Countering Western media hype, Kadri documents the "perennial reluctance of Muslim states to enforce the emblematic hadd (Quran-based) penalities". All in all, the author concludes, this is "an excellent basis for social harmony today. The belief in a route toward salvation has always sought to transcend sins more than suppress them ... and humanity has no business anticipating the terrors of the hereafter." Warns Kadri, "mortals can only fail when they play God in the here and now."